Denunciation is a fundamental right of citizens that is recognized in the Constitution of Vietnam and also a crucial channel for government agencies to access information about, detect and handle violations of the law. Vietnam has long recognized the rights of whistleblowers in general and corruption whistleblowers in particular in many different legal instruments. However, many legal provisions are just principles, non-specific and scattered in various legal instruments of different legal effects. This is the main reason why whistleblowers are, in many cases, still found hesitated, scared or not actively cooperative with state agencies in the inspection, verification and handling of denunciations. According to Report No. 180/BC-TH dated December 28, 2015, of the Anti-Corruption Bureau of the Government Inspectorate, competent agencies had received 699 requests for protection of whistleblowers, including 99 for protection of corruption whistleblowers, during the period from the enactment of the Law on Denunciations in 2011 and Government Decree No. 76/2012/ND-CP dated October 3, 2012, guiding the implementation of some articles of the Law on Denunciations (Decree No. 76) to March 31, 2015. However, only one-third of the requests had been processed, in which only 21 cases were related to corruption. Similarly, the 2013 Global Corruption Barometer1 on views and experiences from Vietnamese citizens about corruption showed that only 38 percent of respondents were willing to denounce corrupt acts. In terms of why Vietnamese citizens are reluctant to report corruption, 51 percent of respondents indicated that it was because “it wouldn’t make any difference” and 28 percent said they were “afraid of the consequences”. According to a survey conducted by the Government Inspectorate and the World Bank, 62 percent of respondents said they were hesitated to denounce corruption for fear of reprisals. According to Article 33 on the protection of corruption whistleblowers of the United Nations Convention against Corruption (UNCAC) to which Vietnam is a contracting member, in order to protect the accuser it is necessary to identify the accuser, the danger that he or she faces, including the threats on the accuser’s honor, dignity, economic, career, etc., and identify the possibility to compensate. Therefore, measures to thwart threats and unfair treatment should be diverse and commensurate with the level of danger. An effective mechanism to protect whistleblowers should be stipulated in legal documents and implemented in practice. Corruption whistleblowers protection mechanisms should be also based on the four key elements that constitute a whistleblowers protection mechanism in general, including: (i) legal basis for the protection of whistleblowers; (ii) agency to protect whistleblowers; (iii) measures and conditions for the protection of whistleblowers; and (iv) sanctions for the violators. The legal basis is the prerequisite for forming a whistleblowers protection mechanism and ensuring the implementation of this mechanism in practice. 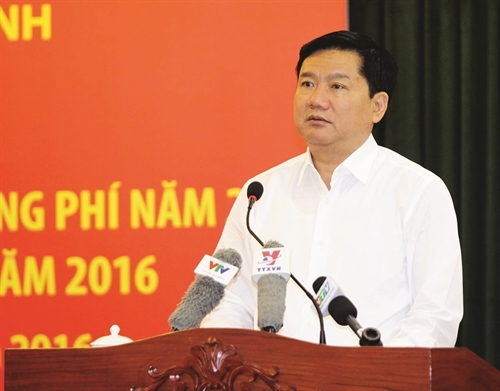 The Communist Party and State of Vietnam have issued many documents and resolutions affirming the important role of society in the fight against corruption; and on the protection of whistleblowers and detection of corruption and violations of law. To date, however, the Communist Party and State of Vietnam have not yet issued any documents and specialized resolutions on the mechanism for the protection of whistleblowers of corruption and violations of law. Regulations guiding the protection of corruption whistleblowers are few and scattered in different documents. Institutionalizing the constitutional provisions, many laws have been enacted, such as 2011 Law on Complaint and Law on Denunciations; 2005 Anti-Corruption Law, amended and supplemented in 2007 and 2012; Penal Code amended in 2015, Criminal Procedure Code amended in 2015 and their guiding documents. Although the Law on Denunciations has devoted a chapter to providing for the protection of whistleblowers, it contains only the most general provisions on the denouncer, the denounced, the authority to handle denunciations, order and procedures for the handling of denunciations, etc. Specific issues related to denunciation and settlement of denunciations of corruption should be in accordance with the Anti-Corruption Law and its guiding documents. To sum up, Vietnam’s laws have not had specific regulations on the protection of corruption whistleblowers to date. The responsibility to protect whistleblowers is assigned to many different state agencies and defined in various legal documents. According to the 2011 Law on Denunciations, People’s Committees at all levels are responsible for protecting whistleblowers in case the latter request the protection in their residences. However, for whistleblowers who request the protection of their lives, health, property, honor, dignity and reputation, the Law stipulates the coordination amongst police and other competent bodies, rather than specifies the agency mainly responsible for the protection. According to Decree No. 76, agencies responsible for protection of whistleblowers are: (i) the agencies responsible for handling the denunciations; (ii) the police agencies of the places where the whistleblowers and their relatives reside, work or study; (iii) the police agencies of the places where the property of the whistleblowers or their relatives is located; and (iv) grassroots trade unions, labor management agencies or other competent authorities at local level. Decree No. 76 also defines the responsibilities of coordination amongst these agencies and with agencies and other relevant organizations in the implementation of measures to protect whistleblowers. The revised Criminal Procedure Code adopted in 2015 does not have any specific regulations on the agency responsible for protecting whistleblowers. However, it determines competent authorities that decide to apply measures for protected persons (including denouncers of crime, witnesses, victims and other persons involved in the proceedings) are investigating bodies of the People’s Police and investigating authorities in the People’s Army. Besides, the People’s Procuracy and the People’s Court may request the investigating bodies that directly handle criminal cases to apply protective measures if necessary. * The responsibility of heads of authorized agencies and organizations when receiving denunciations of corrupt acts. Accordingly, they must consider and handle these denunciations in accordance with their authorized powers, keep secret names, addresses, autographs and other information as requested by the whistleblowers; or simultaneously apply necessary measures to protect the whistleblowers when there appear manifest threats, reprisals or retaliation against the whistleblowers or upon the latter’s request. Thus, according to the current laws, there are too many agencies responsible for protecting whistleblowers, while the jurisdiction of these agencies is limited and overlapping, and there is no specialized agency to protect corruption whistleblowers in particular. According to the 2011 Law on Denunciations, protected persons include whistleblowers and their relatives; the protection of whistleblowers could be conducted in all places where the whistleblowers may be affected, including residential place, workplace, studying place, places where the protected persons’ property is located or other places determined by competent agencies. On measures to protect whistleblowers, the Law on Denunciations and Decree No. 76 stipulate three main groups of measures, including: (i) protection of confidentiality of information of whistleblowers; (ii) protection of the life, health, property, honor, dignity, reputation and other personal rights of whistleblowers and their relatives; (iii) protection of work positions and jobs of whistleblowers and their relatives. Competent agencies, organizations and persons when receiving and handling denunciations, exploiting and using information and documents provided by whistleblowers must keep secret the full names, addresses, autographs and other personal information of the whistleblowers; and apply necessary measures within their competence or request other competent agencies and organizations to take necessary measures to keep secret information and protect whistleblowers. Also, in some cases, the names, addresses, autographs and other personal information of the whistleblowers must be omitted from the denunciations; other relevant documents and evidence, as well as stored and managed under confidential mode. However, in many cases, the denunciations are received and processed by multiple agencies and units, or the whistleblowers send their denunciations to many different agencies, or the media sometimes report inaccurate information; therefore, it is difficult and complicated to verify and ensure the information security. When there are grounds for whistleblowers and their relatives to believe that their life, health, property, honor, dignity, reputation and personal rights are threatened or have been infringed upon in reality, whistleblowers may request state agencies to apply protection measures based on the nature and seriousness of the danger of the acts of infringement. * Propose competent persons to apply criminal or administrative penalties. Whistleblowers have their working positions guaranteed without employment discrimination in any forms. Persons who have competence to manage and use officials, civil servants and public employees are prohibited from discriminating in employment against whistleblowers; take revenge on, victimize, intimidate or have prejudice against whistleblowers. When there are grounds for whistleblowers and their relatives to believe that their working positions and jobs are affected by their denunciations, the whistleblowers may request state agencies to apply necessary protection measures. For officials, civil servants and public employees, protection measures include: (i) transfer the protected person to another agency, organization or unit if he/she so consents; and (ii) issue a decision to handle according to competence or propose a competent person to handle in accordance with law the person having acts of reprisal, retaliation or threat affecting the lawful rights and interests of the protected person. For persons working under labor contracts who are not public employees, the following protection measures may be applied: (i) request the employer to terminate the violation; restore the working position, jobs, incomes and other legitimate job benefits for the protected person; and (ii) propose a competent person to handle in accordance with law. Besides the provisions in the 2011 Law on Denunciations and Decree No. 76, the Criminal Procedure Code amended in 2015 also specifies measures to protect whistleblowers. The protection measures shall be applied in case competent organizations or persons conducting legal proceedings obtain grounds to believe that the life, health, property and honor of protected persons are infringed upon or threatened to infringe upon for their provision of evidence, documents or information related to crime. However, the rights of whistleblowers are still limited compared to the rights of those who participate in criminal proceedings (victims, civil plaintiffs, civil defendants, persons with related rights and interests), including the right to be invited and to change the expert and the right to use an interpreter, the right to propose replacement of people conducting legal proceedings, the right to appeal, etc. As it can be seen in the above-mentioned provisions, the whistleblowers protection measures are generic and incomplete. The terms “grounds”, “safety place” and “necessary place” themselves are general and the authorities may arbitrarily apply or do not have sufficient grounds to apply protection measures. Meanwhile, the Anti-Corruption Law and its guiding documents do not have specific regulations on measures to protect corruption whistleblowers. Basically, agencies, organizations and individuals who violate the provisions of law shall be subject to, based on the nature and seriousness of their violations, disciplinary action, administrative sanction or criminal penalty. * Criminal penalty: For the effective protection of whistleblowers, the Penal Code amended in 2015 revises and supplements both elements of crime and penalty of the crime infringement upon the right to complaint or denunciation (Article 166). Additionally, in order to protect whistleblowers at workplace, the Penal Code also details the provisions on the crime of illegally forcing laborers or public employees to leave their jobs (Article 162) by classifying into three clauses: Clause 1 specifies the elements of crime with detailed circumstances for determining the crime; Clause 2 turns the circumstances aggravating the penal liability into circumstances for determining crime; and Clause 3 provides supplementary penalties. The Penal Code has eliminated the warning penalty due to lack of effectiveness and adds fine for such crime mounting to VND 200 million to ensure the conformity with the fight against this crime in practice. The 2011 Law on Denunciations lists 14 prohibited acts related to the rights of whistleblowers and provides that the violator shall, depending on the nature and seriousness of his violation, be disciplined, administratively sanctioned or charged with criminal offense. However, Article 166 of the Penal Code amended in 2015 does not prosecute all of the acts listed in the Law on Denunciations, which may lead to the omission of a crime. Therefore, to ensure the better protection of whistleblowers, the gaps between the Penal Code and the Law on Denunciations should be eliminated. The protection of whistleblowers in practice in Vietnam has revealed many shortcomings due to lack of specific regulations on specified agencies responsible for the protection of whistleblowers, the order and procedures for receiving, processing and addressing requests for protection of whistleblowers; protection measures and responsibilities of competent state agencies to protect whistleblowers. Currently there are too many agencies and organizations responsible for protecting whistleblowers, including corruption whistleblowers. In order for denunciation to become an effective tool to detect corruption and to encourage people to participate in the fight against corruption, there should be a specialized agency to protect corruption whistleblowers with reasonable structure. The laws should specify the functions, duties, powers and conditions to ensure the operation of this agency. Based on the actual situation of Vietnam, the laws should assign the main responsibility and coordination and specialization functions to the police. Accordingly, the task of protecting the life and health of whistleblowers should be performed by the police, while the home affairs agencies, member organizations of the Vietnam Fatherland Front and the Trade Union would all support protecting the working positions of whistleblowers. Currently there are two legal documents regulating the order and procedures for receiving, accepting and handling requests for protection of whistleblowers, which is the Criminal Procedure Code amended in 2015 and Decree No. 76. However, the provisions in these two documents are not consistent with each other and not strict. Decree No. 76 does not specify the methods of sending the requests; time limit for receiving and processing the requests; effect of protection decisions; organizations and persons assuming main responsibilities; except for the provisions on protection of working positions and jobs of whistleblowers and their relatives. Similarly, the Criminal Procedure Code amended in 2015 regulates on the proposal of, and request for, application of protection measures; however, it does not specify the methods of submitting the requests; in case of emergency, through which means of communication the protected person should request protection; also, the time limit for receiving and processing the request is not provided for. Therefore, it is necessary to study and develop the procedures and order for receiving and handling requests for protection of whistleblowers; and verifying and examining these requests. The order and procedures must be simple and conformable with practice and facilitate citizens’ exercise of their protected rights, depending on the nature and content of the protection, and the steps of handling denunciations by state agencies. Anti-corruption legislation should also have specific provisions on the protection of corruption whistleblowers corresponding with the provisions in the Law on Denunciations regarding the requirement for the protection of the life, health, property, working position, employment and income of whistleblowers. In the protection of whistleblowers, officials and civil servants have an important role, especially in the processing of information from whistleblowers. The Anti-Corruption Law has specific provisions regarding the code of conduct and rules of professional ethics of officials and civil servants, especially the responsibilities of the heads. The code of conduct for officials and public servants working in the local government apparatus are also specified in the Minister of Home Affairs’ Decision No. 03/2007/QD-BNV dated February 26, 2007. However, the 2011 Law on Denunciations does not have any provisions on the code of conduct and rules of professional ethics of officials and civil servants when receiving and handling denunciations and requests for protection of whistleblowers. In practice, the whistleblowers’ personal information, in many cases, is exposed during the process of handling denunciations by officials and civil servants. This has affected directly the whistleblowers and the trust of citizens. 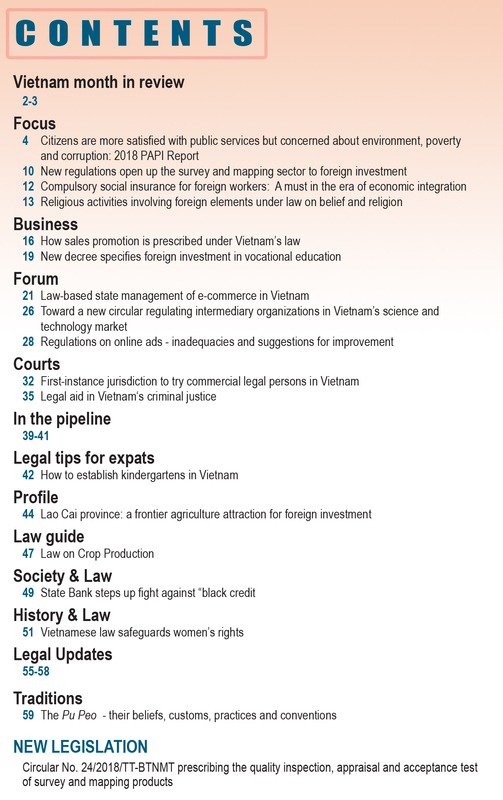 Towards Transparency (TT), National Contact of Transparency International (TI) in Vietnam, the 2013 Global Corruption Barometer – Views and experiences from Vietnamese citizens. Government Inspectorate and World Bank, Corruption from the views of citizens, enterprises and officials and civil servants, 2013, p. 68. Ho Chi Minh City Law electronic daily, “Myriad challenges facing whistleblowers”, dated January 20, 2010, at: http://plo.vn/thoi-su/chinh-tri/muon-trung-kho-cho-nguoi-to-giac-218958.html. 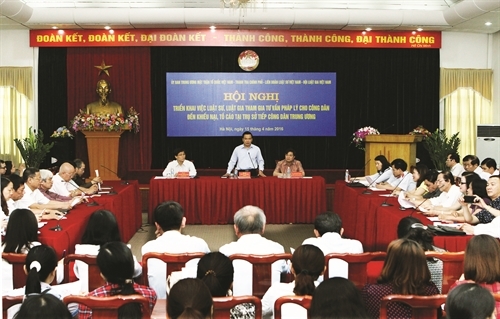 Ta Thu Thuy (Government Inspectorate Research Institute), Protection of the accuser - The provisions of the United Nations Convention against Corruption (UNCAC) and some issues challenging Vietnam, 2013. UNCAC used the term “Accuser”. “Accusation” is the act of reporting to the government about the wrongdoings; “denunciation” means a person exercising his/her right to report all acts of violation of law in general to competent organizations, agencies or persons - Ta Thu Thuy (Government Inspectorate Research Institute), Protection of the accuser - The provisions of the United Nations Convention Against Corruption (UNCAC) and some issues challenging Vietnam, 2013. Politburo Resolution No. 14/NQ/TW dated May 15, 1996, guiding the fight against corruption; and Resolution No. 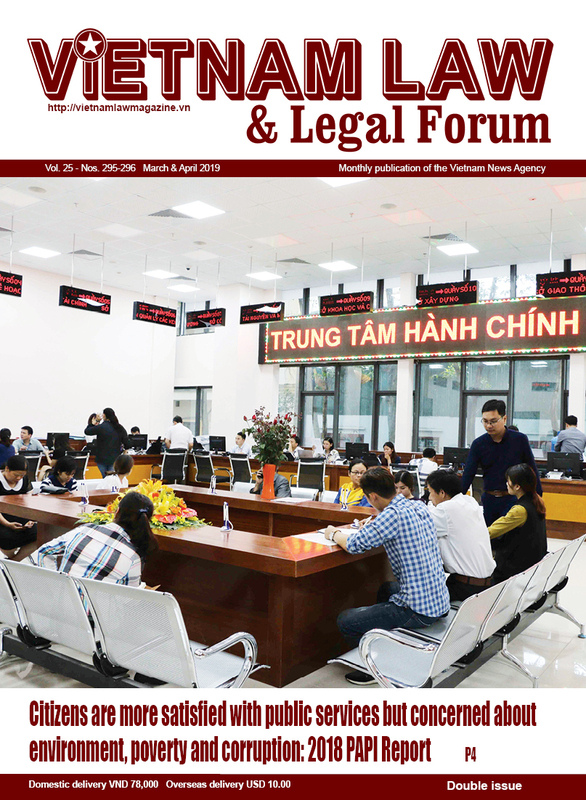 48/2005/NQ-TW dated May 24, 2005, on the Strategy to establish and complete Vietnam’s legal framework until 2010, with a vision toward 2020; Resolution No. 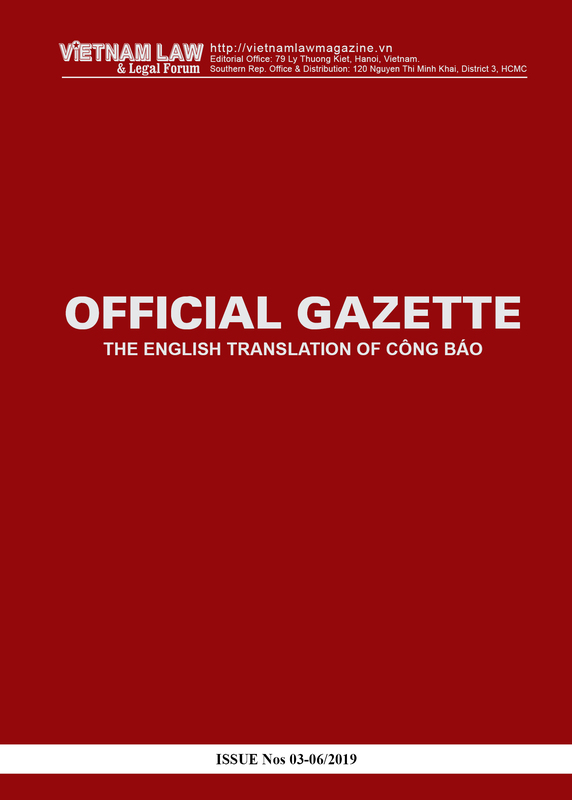 04/2006/NQ-TW of the Central Committee of the Communist Party of Vietnam, the Xth Term, on enhancing the leadership of the Communist Party over the fight against corruption and waste; and Government Resolution No. 21/NQ-CP dated May 12, 2009, promulgating the National Anti-Corruption Strategy toward 2020. Chapter V - Protection of Whistleblowers (7 articles, from Article 34 to Article 40), of the 2011 Law on Denunciations. Section 3 - Denunciations and handling of denunciations on corruption, Chapter III - Detection of corruption, the Anti-Corruption Law and Chapter VI of Government Decree No. 59/2013/ND-CP dated June 17, 2013, detailing and guiding a number of articles of the Anti-Corruption Law. Clauses 1 and 2, Article 65 (Responsibilities to receive and handling denunciations) of the Anti-Corruption Law supplemented and amended in 2012. Article 58 of Government Decree 59/2013/ND-CP dated June 17, 2013, detailing and guiding the implementation of a number of articles of the Anti-Corruption Law. Articles 38 and 39 of the 2011 Law on Denunciations. Chapter III - Whistleblowers protection measures and responsibilities of competent agencies, organizations and persons to protect whistleblowers, Government Decree 76/2012/ND-CP dated October 3, 2012, guiding the implementation of a number of articles of the Law on Denunciations. Article 485, Chapter XXXIV - Protection of denouncers of crime, witnesses, plaintiffs and other persons participating in criminal proceedings, the Criminal Procedure Code amended in 2015. Articles 5, 10 and 65 of the Anti-Corruption Law amended in 2012. Clause 1, Article 34 of the 2011 Law on Denunciations. Articles 36 thru 39 of the 2011 Law on Denunciations; Chapter III of Government Decree 76/2012/ND-CP dated October 3, 2012, guiding the implementation of a number of articles of the Law on Denunciations. Article 486, Chapter XXXIV - Protection of denouncers of crime, witnesses, plaintiffs and other persons participating in criminal proceedings, the Criminal Procedure Code amended in 2015. Clause 3, Article 30 of the 2013 Constitution. Article 8 of the 2011 Law on Denunciations. Clause 2, Article 10 and Clause 4, Article 68, of the Anti-Corruption Law amended in 2012. Government Decree No. 34/2011/ND-CP dated May 17, 2011, on disciplining of civil servants. Clause 1, Article 21 of the 2012 Law on Handling of Administrative Violations. Section 3, Chapter II - Corruption prevention, the Anti-Corruption Law amended in 2012.